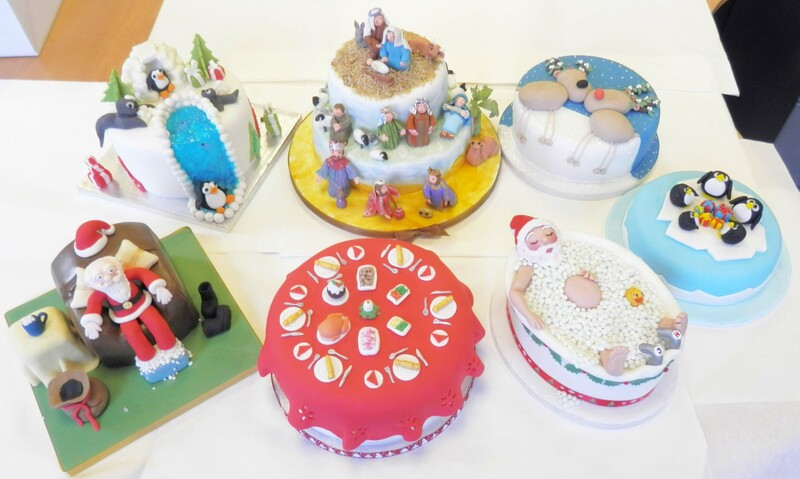 THE ‘sweet’ members of the Guildford & Woking branch of the British Sugarcraft Guild have once again donated 31 skillfully made Christmas-themed cakes to Woking & Sam Beare Hospices. Becoming somewhat of a tradition, the BSG have been gifting their specially made cakes for the past few years; raising thousands in the process by allowing the charities to sell and auction off their creations. Charity staff dropped in on a recent meeting of the branch to collect the tasty treats, and pass on their esteemed thanks to everyone involved. Corporate Fundraiser Anita Avery, who accepted the cakes at the meeting, said: “The cakes we have received this year are incredible and so much time and effort has gone into making each and every one. The traditional fruit cakes were handmade by members at every level of expertise: two were designed by the Cygnets section – young people aged between six and 15. They will now be allocated to businesses around the area who will raffle, auction or sell them, last year around £3,800 was collectively raised, with £4,000 the target for the 2015 cake sale. So far Optichrome Ltd, The Wandsworth Group, ISS UK, Christ the Prince of Peace Church and West Byfleet School have all received cakes with more to be sent out before Christmas. The popular Guildford & Woking branch of the British Sugarcraft Guild has been going for almost 30 years, with anniversary celebrations planned for June next year. Members of the branch meet at Normandy Village Hall, near Guildford, every month. Anyone interested in finding out more is welcome to attend. Further information can be found at www.bsguk.org.